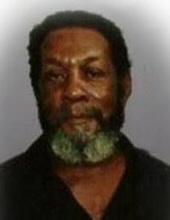 Celebrating the life of James "Crazy Crow" Evans, Jr.
Obituary for James "Crazy Crow" Evans, Jr.
Age 66, of 1051 Tolbert Drive, Harlem passed on Saturday at the Doctor's Hospital, Augusta. Family and friends may call at the residence of sister, Bernice (Rudolph) Dorsey, 6492 Campbells Way, Harlem. Thomson Funeral System, Thomson in charge. To send flowers or a remembrance gift to the family of James "Crazy Crow" Evans, Jr., please visit our Tribute Store. "Email Address" would like to share the life celebration of James "Crazy Crow" Evans, Jr.. Click on the "link" to go to share a favorite memory or leave a condolence message for the family.